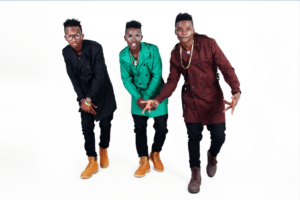 Kampala boy band trio, B2C are in panic after Swangz Avenue confirm date of their 10th Anniversary Celebrations. Swangz Avenue is set to celebrate their 10-years existence at Lugogo on August 31 and it is said B2C as well had set the same date for their concert at Freedom City. The panic comes after Celebrated Reggae artist Taurus Riley, who is known for drawing huge crowds, is said to be a part of Swangz’s celebration. B2C is now in talks with manager Andy Event to reschedule their concert. The group consists of Mr Lee, Delivad Julio and Bobby Lash. Is diva Rema Namakula dating another man?